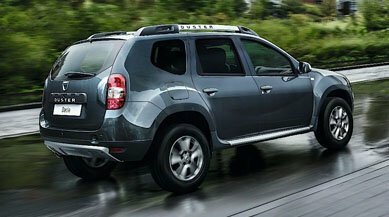 At East Bilney Garage we are proud to be a Premier Partner in the Motability Scheme and offer a wide selection of Dacia Motability cars in Norfolk. We have a number of fully-trained experienced Motability specialists who can discuss all your options to find the ideal solution for you. There is ample parking on our forecourt and automatic opening showroom doors making access to the dealership very easy. The Motability Scheme was established to provide those with a disability access to more independence, enabling them to exchange part of their Disability Living Allowance for a new car of their choice. If you receive either the Higher Mobility Component of the Disability Living Allowance, the Enhanced Rate of the Mobility Component of Personal Independence Payment, the War Pensioners' Motability Supplement or the Armed Forces Independence Payment you are eligible for the scheme. Our dealership are designed for easy access, with ramps and wide doors, and we have Motability specialists on-hand to offer advice and guidance, take you through our range of Motability vehicles, and complete all forms on your behalf. We can also arrange for any necessary adaptations to be made to your vehicle to make driving it even easier. For further information on the Motability Scheme and the Dacia Motability cars available from East Bilney Garage, contact one of our trained Motability specailists today.